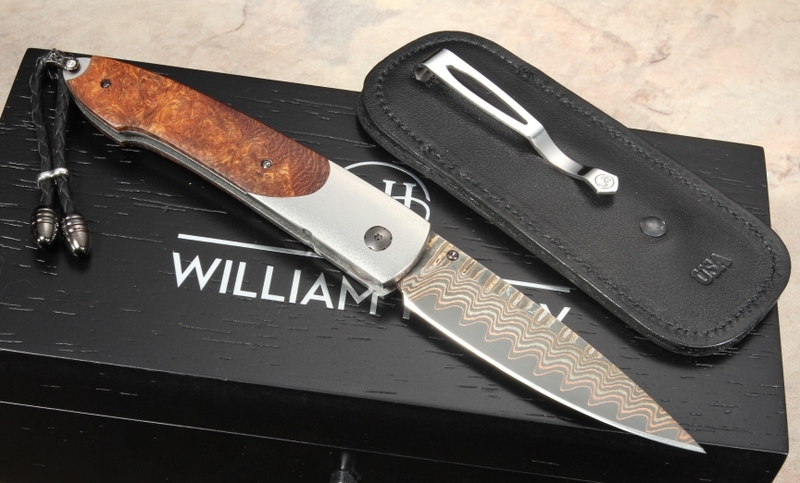 The William Henry B10 Westchester is a upscale combination of desert ironwood handle and uniquely forged copper wave pattern damascus steel. The size and weight of this knife make it perfect for everyday carry. The 2.63" blade on this gent's carry folding knife is hollow ground drop point blade shape. The blade on this knife opens smoothly one-handed with a thumb lug. 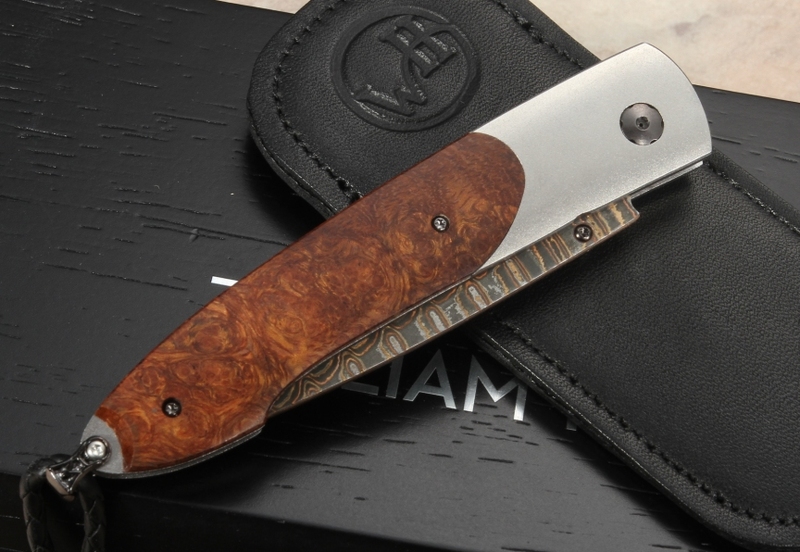 The handle frame on this William Henry Damascus knife is aerospace grade titanium with handle scales of desert ironwood. The desert ironwood is a dark brown and dense for durability. The B10 Westchester has a braided leather lanyard with metal beads. The high-end folding knife comes with a black leather ClipCase for safe carry and easy access. Spinel gemstones are inlayed into the thumb stud and lock release button. 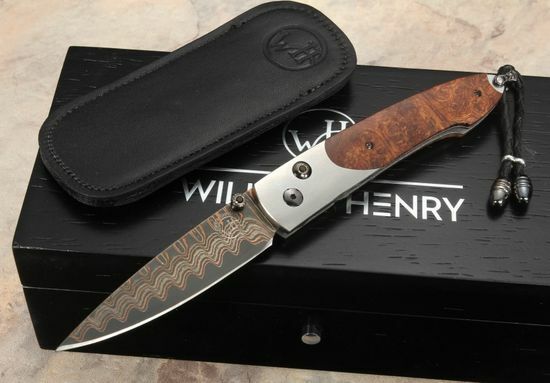 A unique serial number is engraved into the blade and every knife includes a Certificate of Authenticity and wood presentation box. Order with confidence, we are an Authorized William Henry dealer with fast same business day shipping and a full satisfaction guarantee. BLADE MATERIAL: Copper Wave Pattern Damascus with a VG-5 Cutting Core.